These wise, ancient idioms were my guiding principals for developing a thyroid diet when all else (i.e. : western medicine) failed to help my thyroid drama (first Graves’ and later Hashimoto’s Disease). After many years of trying different things, I’m finally putting the pieces together and calling it the Thyroid Diet Plan. I wish there were two different words to say what I want to say: one for “diet” as in when you want to lose weight and another “diet” as in a nourishing food change that will bring healing and joy. Oh well… But you know when I say “diet” I mean a protocol, a way of being, a way of living and eating that will free you from some or all of the fatigue, depression, anxiety, weight yo-yo’s, food frustrations, and infertility that have plagued you for some time now. I want to share with you what I know about the best healing diet for thyroid issues. There are some people who say that there is no scientific evidence linking food to thyroid problems or healing. We have a choice to make about how we want to view things and about what we want to believe. Choice is a powerful tool. Let us never forget that. Even if there is supposedly “no evidence” that food is linked to thyroid healing, you could say to yourself, “What if I try something new and different for 3 weeks and just see how I feel.” Because really, what have you got to lose? Especially if you have been sick for a long time… You might learn something new and have fun along the way! You have a choice. 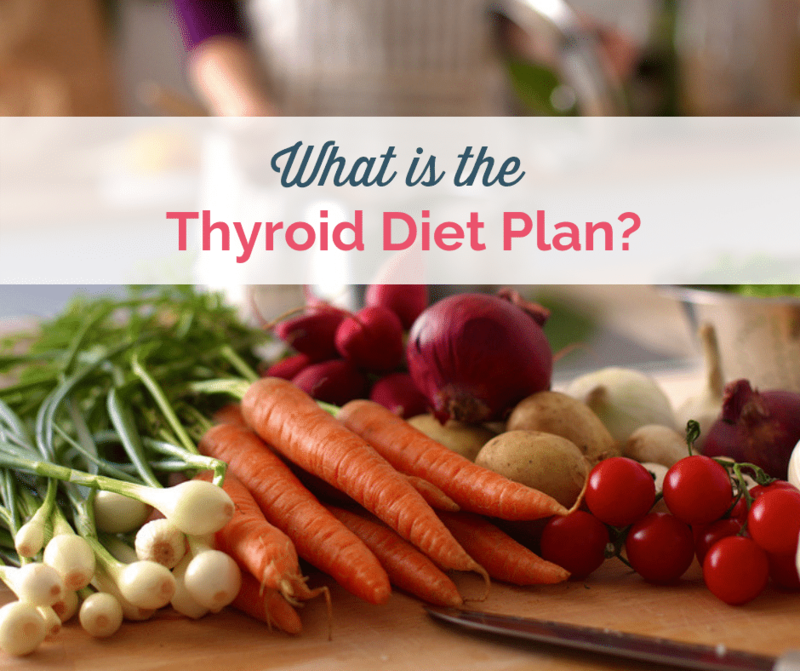 You can choose to start a thyroid diet plan and see what happens. Before you read on, it’s key to know that 90% of hypo- and hyper-thyroidism results from an autoimmune disorder. (Most people do not realize this, as doctors often don’t take time to explain things.) Most hypothyroid conditions are Hashimoto’s and most hyperthyroid conditions are Graves’ Disease, which means that your immune system is attacking your thyroid. Since the immune system resides in the gut or our intestine (Did you know that?!) a lot of what you will read here is about rebuilding the digestive system. #1 What should I REMOVE from my current diet and lifestyle that is sabotaging my immune system and thyroid? #2 What should I ADD to my life to boost my immune system, detox my body, and help my thyroid? #3 How do I find a BALANCE in what I’m doing so that I don’t go crazy and, instead, really grow to like my “new life”? Start reading product labels to see how much sugar is in your food; 4g = 1 teaspoon. For example, a Caramel Frappuccino from Starbucks has 64g of sugar = 16 spoons of sugar. Activia’s yogurt proclaimed as a “healthy food” has 7 spoons of sugar. Try not to consume more than 5 spoons of sugar per day if you have a sugar problem. Start the day with a high-protein, high-fat breakfast; this is a big secret in the weight-loss industry as well. It will help you stabilize your sugar levels for the day. You won’t crash at 11am and won’t crave sugar and snacks during the day. I’ve got a library of breakfast recipes here for you. Reduce processed carbs: we are a carbs-obsessed and carb-addicted nation with carbs constituting 50-60% of most people’s diets, much of which is coming from grains. Grains contain starch that feeds the pathogenic bacteria (read below about your digestive system) in your gut and worsen the problem. Reduce starch; again, this is sugar too, especially from potatoes, sweet potatoes, and processed food. Do you see “gluten-free”, “dairy-free” etc. popping up at the health stores today? This is because many people get off the “big five” (gluten, dairy, corn, eggs and soy) and experience significant changes. To find the culprits, I always start off with an Elimination Diet and this produces clear, unbiased results. You can also get a food intolerance test (not allergy; it’s different) done but they are far from accurate. Gluten is an infamous food for contributing to thyroid conditions, and eliminating it is key. However, often times, you would need to cut out more than just gluten if you wish to shape your diet for thyroid fitness. As mentioned above, most thyroid conditions are auto-immune diseases. There are tons of lymphocytes and other immune cells in the gut, which protect the body from viruses, bacteria, and other invaders. This is why most people with thyroid conditions also experience frequent bloating, gas, constipation or diarrhea. A diet change will help your gut tremendously. “All disease begins in the gut“, said Hippocrates, the father of modern medicine. I’m not sure why this is not taught in schools today, but it’s an important part of the thyroid diet plan. You need to reduce the toxins you ingest from additives, preservatives, artificial sweeteners (! ), excessive sodium, and trans-fats and try to eliminate toxins hiding around your house. Water toxicity is a HUGE problem in thyroid conditions. Most public water systems in the US have fluoride added, which is now linked to slowing down the thyroid; fluoride is believed to be leaching on to the thyroid cells inhibiting the uptake of iodine, hence the altered production of the thyroid hormone (T4). You want to detox your liver and your gut, as this is where the T4 hormone (inactive hormone) gets converted to T3, the active hormone that actually powers us up. Most of our body cells need T3, not just T4. If you are taking Synthroid, you are taking a synthetic version of T4 that still needs to be converted to T3. If you have a sluggish liver and gut, you won’t convert properly. Look into doing a yearly or bi-yearly detox by fasting, juicing, etc. to give your body a break. We have designed a thyroid and hormone-supporting detox program which is available in a DIY version and Live (we typically run it two times per year). This is huge topic, especially with women. You won’t be able to fix your thyroid without fixing the adrenals. The adrenals are also part of the endocrine system and fire up when you are stressed out. I recommend looking up adrenal fatigue symptoms to see if you have them. De-stressing by working with a therapist or life coach, getting into meditation, breathing, or positive thinking – or whatever works for you – is key. Stress can also be caused by chronic digestive issues. When the small or large intestine is in distress (ywhen you are always constipated, bloated, suffer from gas, pain, loose stool etc. ), the body sees it as a state of stress. Cortisol is a potent hormone we won’t function without. However, when in excess, it can have a detrimental impact on the thyroid and the immune system (one of the functions of cortisol is to modulate the immune system). If you suffer from hypothyroidism, you should not eat them raw. Goiter is a substance that inhibits iodine uptake to create the T4 hormone. The family of crucifers are: bok choy, broccoli, Brussels’ sprouts, cabbage, cauliflower, kale, mustard greens, radishes, soy, soy milk, soy lecithin (often used as a filler in vegetarian food) and tofu. Cooking them reduces their goitrous properties, however, so they can still be an important part of a diet for thyroid health. Like many progressive thyroid practitioners, such as Dr K and Dr Wentz, I believe there is no need to cut these wonderful vegetables 100% out of our diets. The reason is: all crucifers are high in DIM (di-indolyl-methane) which is a substance that supports the liver detoxification pathways. This detoxification process helps us eliminate metabolized (or “used up”) hormones like estrogen as well as thyroid hormones to make space for new ones. Soy is the only exception – we should not consume it at all, unless it’s in the fermented form (like miso or tempeh) and then only in small amounts. food that is FERMENTED the traditional way, so things like sauerkraut, kimchi, kefir (dairy if you can tolerate or water kefir) are all rich in a wide spectrum of probiotics. introduce homemade bone broths from chicken and beef bones – they have an incredibly high nutritional profile – high in calcium, magnesium, phosphate, collagen and gelatin – the latter ones being instrumental in digestive lining recovery. You can check out my beef bone broth recipe here – it is inspired by the “Nourishing Traditions” cookbook. They are the building blocks of your digestive tract and of our hormones. We are fat-phobic in America, and low-fat diets are one of the worst things we’ve ever invented. Europeans and Asians have fat-rich diets (traditionally) and enjoy much better health than we do. Good fat tips: avocados, walnuts, coconut oil, coconut butter. Animal fats are the best in restoring a troubled digestion; ghee (clarified butter), butter, chicken and beef fat are essential but need to be rendered and not in fried or processed form. Everyone has bacteria in their digestive tract, or gut, that is essential to the function of the human body. A healthy adult has about 1.5 – 2 kg of bacteria in their gut, both good and bad. Normal levels of bacteria, or flora, in the gut protect against invaders, undigested food, toxins, and parasites. When the good and bad bacteria in the gut get out of whack (i.e. more bad than good), a whole host of negative reactions can occur in the body. Undigested foods can leak through into the bloodstream causing food allergies and intolerances, vitamins and minerals may not be absorbed, leading to deficiency, and the bad bacteria can produce a whole host of toxins, leading the immune system to not function properly. An effective thyroid diet includes probiotics that you can get from fermented foods. It’s also good to supplement food with a good quality probiotic. most people are Vit D deficient, taking Vit D in 2,000 units is safe and good to do as Vit D is actually a hormone, connected to the thyroid. Always D3 and not D2. calcium is key but needs to be taken with magnesium and vitamin D for full absorption. for hypothyroidism: selenium, turmeric/curcumin, phytosterols and for GI support; probiotics and L-Glutamine are key. for hyperthyroidism: copper and magnesium are a common deficiency in people with hyper. A complete thyroid diet solution includes more than just food. I cannot emphasize how important these are for managing stress and emotions, especially for people with hyperthyroidism. We underestimate what stress and emotions do to us; each flare-up of anger, feelings of guilt, fear, hostility, jealousy, etc. fires up the adrenals which release cortisol, and cortisol has a detrimental impact on the thyroid. Whether it is sports, dancing, or yoga that gets you moving, it is important to engage in movement that does not drain your adrenals or your thyroid yet gives you a sense of accomplishment and joy. If you are suffering from adrenal fatigue, be sure to be very gentle with your body and don’t do excessive cardio work-outs and switch to light weight lifting, yoga, pilates, gentle cycling, hiking, dancing, etc. No one diet or plan works for everybody, including the thyroid diet that I’ve described here, as each person has a unique way of healing. There is a saying: “One person’s food is another’s poison.” It’s always worth remembering that just because one diet worked for one person it does not mean it will work for you too. One person could have healed their thyroid by just changing the water filters (by getting rid of fluoride) alone, while another needs to implement five major diet and lifestyle changes to start feeling just a little better. Let’s respect our differences. Our body has an amazing ability to heal – just give it the right environment and tools and it will do all the work for you. IgG testing and muscle testing are not accurate; therefore the most reliable way to find out what your body / digestive tract is struggling with is to do the Elimination Diet. As explained above, toxicity in thyroid conditions is very common and needs to be addressed for your thyroid and the immune system to function properly. You can learn more the 7 Toxins Impacting Your Thyroid free workshop. Thereafter, there is an option of joining a 12-day detox program to jumpstart your thyroid health. You can order thyroid tests yourself. Most people do not know that. You can do so by going to Direct Labs. They cover more than just TSH and T4 – you will get the full spectrum of results which you need to know to manage your thyroid and Hashimoto’s. Finding out this information about yourself will help you better understand how the thyroid diet can help you. I have found great results with this spore-based probiotic. In this video, I talk about how it helped me overcome my gluten and dairy intolerance so I can have it occasionally without reacting. I would also like to invite you to our Facebook Hormones Balance to like us and get daily tips, interviews, recipe and nutrition nuggets. I hope this article gain a holistic view of thyroid health and given you some ideas how to start your own thyroid diet plan protocol. I don’t like taking pills so is there 1 brand of vitamin that covers the calcium/Magnesium/Vit D/B12 supplementation you mention all in one shot? are you familiar with USANA? you can contact me at [email protected], i can answer you on this. Magdalena believes in getting as many nutrients as possible from real food. You can most likely find a vitamin D and B12 option from the local health food store. thank you for taking the time to share your story with others. I have recently been tested for thyroid issues. I had one test that ranked 4.6 and a second test that ranked 3.1. So to break the tie, I have to take another blood test in December to see if the T count is high or low. This spurred me into action since I do not want to take any medications. I’m 61 years old and overweight. I exercise (not enough) and sometimes watch what I eat and I’m not on any mediations. it is now time to help my body become the mean machine it once was. Why is sauerkraut OK and not cabbage? Hi Walter, Fermented vegetables are powerful hormone balancing foods because they contain good bacteria to boost your gut health. And, though fermented crucifers like sauerkraut are raw, you don’t need to cut them out. It’s okay to have one or two small tablespoon servings of fermented foods like broccoli, cabbage, kale or cauliflower a day. Firstly, I cannot afford the workshop BUT this is the most useful website I have ever come across regarding the thyroid (I’m hypothyroid). Magdalena, you talk in plain English about everything! It’s is so easy to follow and even more important it all makes perfect sense and is based on fact. A very big thank you for putting this site together which must of taken ages. Thank you thank you thank you. After reading all you have written I feel hopeful that I will be able to get the correct testing and move forward from there. My doctor has tested my thyroid but says I am borderline so will not treat it !! Will following the advice given about thyroid, ie diet etc, help me even though I am not being treated for my thyroid. Elaine – I hope that by now you have found a Naturopath or other Dr that has agreed to treat you. If you are borderline – but you feel “off” – you are probably right. You know yourself! So, if you tell a Dr that something is wrong and they don’t do anything, get a different Dr that will. This is what happened to me. My stomach was so upset all the time, I had lost over half of my hair, my skin was not looking good, I was having flushing episodes, and all kinds of other things were happening that were not normal for me. I went to a Naturopath and she said that although you may test at the high-end of the “acceptable range” you’re really testing high because that range hasn’t been adjusted in a long time, and also what’s high for someone else could be very high for you. We are not all the same, and our “normals” are different. Anyway, treating my hypothyroidism with Naturethroid changed my life. So, I’d say, find a Dr that will listen to you and treat you. Maybe see if they will let you do a trial run with something to see if your symptoms improve. Good luck. I enjoy following many health practitioners in all fields of Natural Medicine but Magdalena is the best. She’s been there. She’s open, transparent & so knowledge. I just keep learning. Currently I am hypo & hyperparathyroid!!! Any ideas for this combo!!! No Hoshi. I loved the article! I agree with you that it is important to exercise on a regular basis. I spent a lot of work at the beginning when I wanted to lose weight. I went from one diet to another and from one magical product to the next. I would honestly tell you that nothing worked for me. I thought I was the one with the problem, but I realized that I did not have a system that really understood me. That it will take into consideration the fact that one is human and has different needs, in the end we are not machines. I have divertulitos & can’t have seeds,skins & raw veggies bother me. I have underactive thyroid also had a total hysterectomy.. can I still do the detox? if you clicked on the link, it explains what it’s made from. she meant it’s a tonic for the liver, not made from liver. no need to call someone stupid. So I had a total Thyroidectomy 3weeks ago, not because it wasn’t working just because I had nodules either side so now I’m on the medication Throxine (can’t spell that) everyday….so my question is as I was never diagnoised with neither a under or over active problem and now it’s totally gone will I gain weight because I’m on the medication. Or does having noodles innocent Thyroid mean it was over or under?